Cheesecake is one of my favorite desserts, but I do have some complaints. For starters, it can be too sweet. The sweetness paired with it's extreme creamy richness can be overwhelming. Obviously it's a dessert that can only be handled in very small amounts. Lastly, while I find cheesecake to be very easily made, it definitely takes some time. But this recipe (which my sister discovered here) is completely the opposite of anything cheese-cakey, yet is a total cheesecake in it's own right. For one, it is not overwhelming. It is slightly less rich, but also is served in a small, very underwhelming cup. Secondly, it is so extremely quick and easy to make. Basically it's that recipe you make when you've committed to a cheesecake but completely forgot to start it the day before (a cheesecake must be cooked way in advance, which adds to the time consuming factor). So, if you've got all the ingredients (which most people would have without ever going to the store) and about 20 minutes (plus a 45 minute cooking time), this is that "oh crap, I forgot to make a dessert for that party" recipe, that is guaranteed to be a hit. 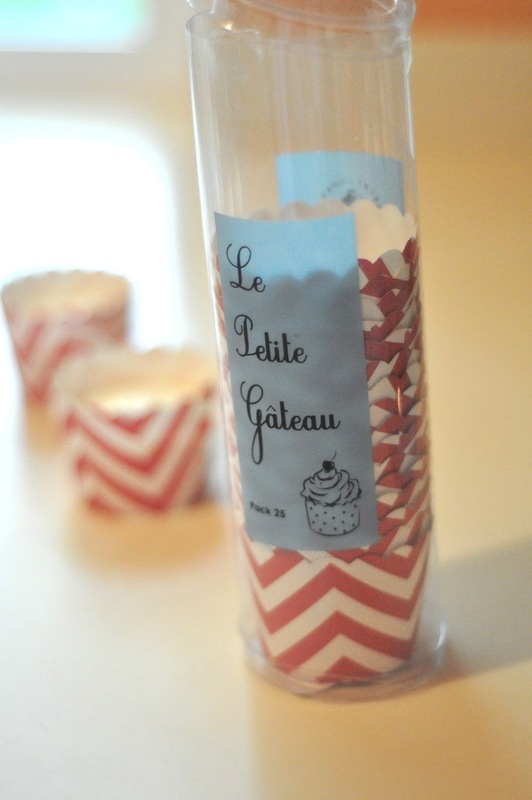 Normally you would use cupcake liners in a tin, but I used these adorable paper cups that you set on a cookie sheet. They worked incredibly. I got them at TJ Maxx, but you can find something similar here, here and here. I'm not a huge fan of overly sugared desserts, so I cut the amounts drastically. I put the original amount in parentheses for those who feel they want more. 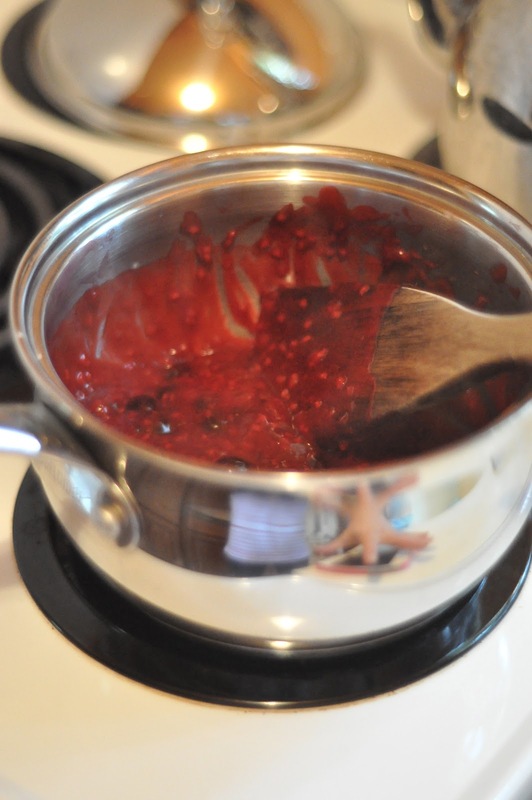 Combine 1 cup berries, lemon juice and cornstarch in a medium saucepan. Cook and stir over medium heat until mixture bubbles and thickens. Cool for 10 minutes, then add the remaining 1 cup berries. Set aside. 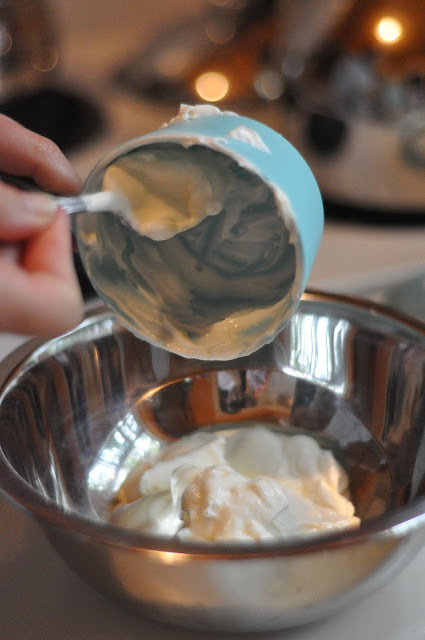 Mix sour cream filling ingredients in a small mixing bowl using a spoon. When the cupcakes sink in the middle, place a scant tablespoon of sour cream mixture in the middle of each one. Place back into the oven for 5 more minutes. Remove from oven and cool. When cool, spoon about 1 1/2 to 2 tablespoons of berry topping over the top of the sour cream filling on each cupcake and refrigerate.